We did it in pink, we did it in blue! Now it’s time to light it up… you could say…from the heart. 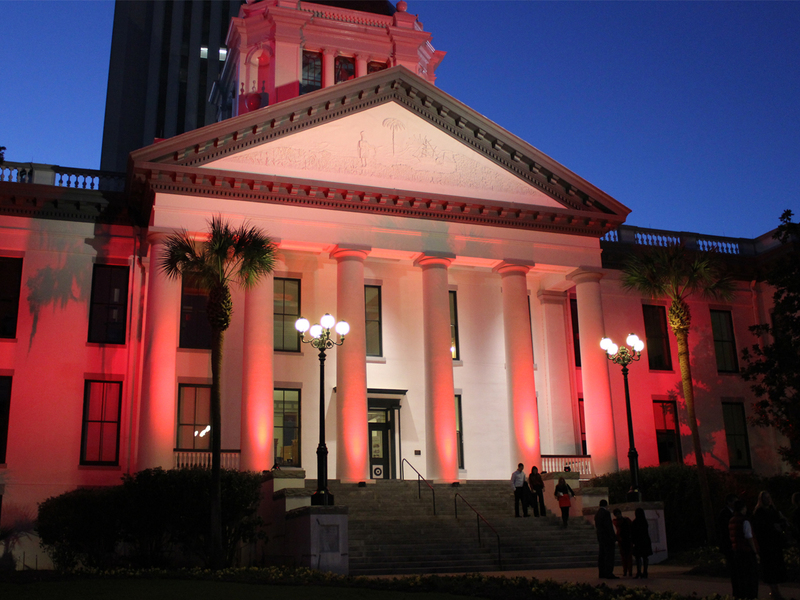 Commemorate February’s Heart Disease Awareness Month and Go Red! Heart Disease doesn’t care if you are a man or a woman, nor your ethnicity. 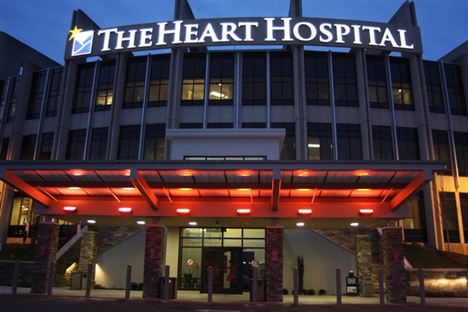 Visit the American Heart Association’s website for more information on early detection and prevention.There are a number of ways that you can turn your lights red to raise awareness of this important cause. Gels work a lot like paint. 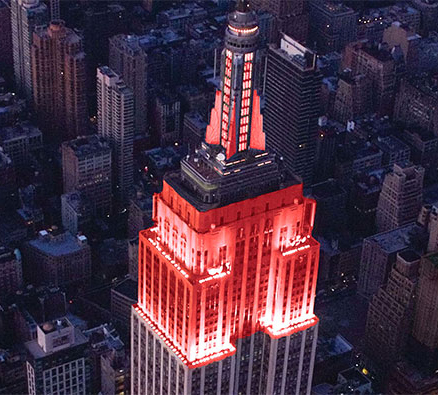 Instead of picking out a red paint for your canvas, choose a red gel for your light to raise awareness. But there are so many different kinds of red! Pale Red, Terry Red, Sunset Red, and of course…Blood Red! Luckily for you our SLS Advisor team has been hard at work solving your problem with a whole page dedicated to Heart Disease Awareness reds! And if you’re looking at lighting a building, you can even see our section on which gels work best for your type of light. Don’t have a whole building to light? Gel can be taped inside windows, which will shine red at night. Looking for unique ways to light your space for a fundraiser? Feel free to call us for free advice on how we can help you today! We want to hear from you! How are you supporting heart disease awareness?